I admit to quite liking the M5 shape, and I might try this. Is there any chance that this product: http://www.daz3d.com/shop/unshaven-bundle-for-genesis can be made to work in Poser? Just install the script into the runtime inside your Poser 9 or Pro 2012 program folder (NOT your normal rintime for content - the script needs to be in the actual Poser program directory). 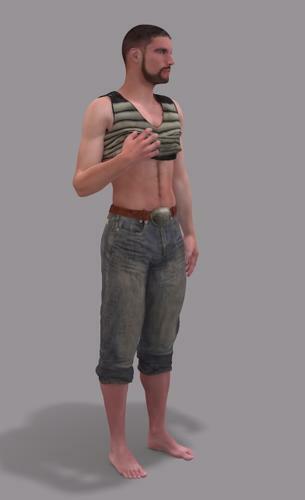 Then you can launch the script from the Poser script menu and navigate to the normal DS file for loading the Gens - Male Genetalia.duf in People/Genesis/Anatomy. the script will get the importer to import the gensfor you into Poser. Just got back to teh forum, so now need to go back in this thread to where I left off last night and catch up! Thanks DavidGB that worked just fine. So long as what you've done works that's the main thing. I put Poser scene files on my external drive as they do take up a lot of space depending on what you have in them. I like to keep Poser content in default locations as it's what has always worked for me. At least the method I used for DSON works and should work for others. Neat little script that, it could come in handy. I noted that was by Mec4D, I did ask Catharina about DSON on her forum earlier today. I don't know if she's replied yet, but, I guess it could be possible that she could upgrade her content. In time I'm sure quite a lot of content will be converted, it's just a matter of the original artists having time to do so. the preview may show some poke as well but it render perfect with the morphs included . it seems like a dream ..
Morph packs for Genesis don't need any updating for use with Genesis in Poser - neither to DSON nor Poser companion files, If you were using them before in DS, you don't need to do anything. If you weren't (like a Poser only user), there's just the one trx installer which you point to the same folder that you installed the Genesis Starter Essentials to. The installtion of Morphs for Genesis simply involves running the installer so it installs a .dsf file for each morph in the data folder (you don't need to worry about the details, just always point the installer to the same folder you installed the Genesis Essentials to). Both DS and the Poser DSON importer just go and look in that data folder, find eveyr morph for Genesis that's in there, and then load Genesis with all those morphs in. No different or extra files for Poser for the morphs. Hang on, I just looked at it in the store. there is a Poser hr2 version, of course, but the Genesis version is listed as .duf, so it doesn't need converting for DSON, it is already. If the companion files for Poser sren't available yet, you can either make them youself in DS OR just use the Dimension3D free DSON loader python script for Poser. Look back a few posts where I answer the question about using the M5 GEns. I give the link t download the Domension3D script and basic instructions. That's fantastic to read. I'd like to purchase both V4 and M4 Shapes for Genesis and Genesis Generation X and I was just about to ask the question if it would be OK.
You've no plans for the next week or so like going to bed and things like that I hope DavidGB? Just a quick render. I noticed in the dialed morphs that Mavka was there so I decided to use her. 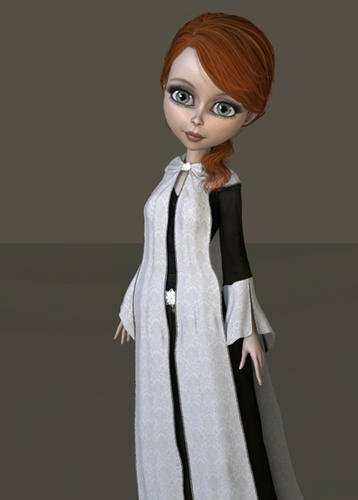 I am thinking of converting her hair and clothes to DSON so I can use them in Poser. Can someone post a link to where I can read how to convert? Again, this made sense. It also made me figure that I could possibly remove the original .dsx and .dsa metadata files, as well as the original James for M5 files that were in the DS format directory (under People), and then be back to having one of each icon again (as well as a smaller runtime and less files on my computer). When I'd click on the icons in Smart Content, that would reference the files in the Poser Runtime. Again, many thanks for the time you've taken to go over this! Sorry for the delay in answering, I'm in the UK, and my last post before yours was past 3am here. am liable only to manage a few short stretches in the forum today. The .dsx file is MetaData for the DS content database. The .dsa file is just a short script telling DS to process the matching .dsx file when the content database is told to scan for metadata for items. But more basically, the .dsx file is only initial, default metadata. You can change it yourself with the database editor (in the dropdown menu of the content library pane) if you want to reorganize things away from DAZ's default arrangement. Just as you can create metadata yourself in DS with the database editor for older items (or items from Renderosity or wherever) that don't have metadata and .dsx files, or presets and figures and scenes that you save yourself. You can also igore the .dsx files that come with products entirely, delete them before they are processed, and just enter the metadata you want instead. You are not expected to actually hand write or edit dsx files yourself (all though of course you can); DA) expect you to use the content database editor, and the menu entries in the content library pane to categorize etc. If you then need the .dsx files for your arrangement (if you are a PA making Genesis content, for instance, and want .dsx files for the default metadata for customers), then there's a function to export it from the metadata you've created with the tools within DS. And keeping the original .dsx files that came with products is really only for if you think at some time you may want to reset the metadata to the default from whatever ypu've changed it to (or scruib your whole content database and want to start again from scratch). Nobody is expecting the suers to hand write or edit the .dsx files that are installed with the content. Back to the particular questions. As I said, I don't normally use the content database and smart content tab (principally because I have many hundred gigabytes of content, collected over 8 years, the stuuf from DAz with metadata is probably less than 1 percent of the total, and I'm certainly not going to go throug creating metadata for the other 99 percent, so the smart content pane and category views are useless to me as they don't show most of my content - so i instead have a longstanding system of subfolders and sub-subfolders etc into which i sort the actual files as I install things, and in which I can find stuff quickly in the straight file view). but I have started the content DB, imported the metadata I have from teh .dsx files, and had a poke around. I haven't redownloaded the James figure, but for the basic Genesis, the Smart Content tab shows me, as expected, a Genesis.duf (the one in my My Library/People/Genesis), and also a Genesis.cr2 (the one in the runtime:libraries:character:DAZ People). Selecting the .duf one and asking it to show me the file in the content Library goes to my DAZ format My Library/People, and selecting the .cr2 one and asking it to go to teh file in the content library goes to the Poser content My Library:runtime:character:DAZ People as expected. As I say, I don't have the James M5 files handy to check, but if both files in the Smart Content are going to the same DAZ Format folder, my guess would be that somebody simply made a mistake, and put the .dsx file from the DS installer into the Poser Companion file exactly as it was, forgetting to edit the path in the default metadata to point to the Poser file in the runtime rather than the original DAZ file in the content library. Fix would be to edit the metadat for that file yourself within DS, or load the .dsx file for the Poser companion file installer into a text editor, have a look at the path, and if I'm right edit it to point to the runtime location, then reimport the metadata just for that product. By the way, I did a simple test, within DS, of going to the Genesis.cr2 in the content library file view, creating another folder alongside the DAZ People folder, and copying the Genesis.cr2 over to the new folder and deleting the original. This was all in the content library pane of DS (NOT in the normal Windows file manager), and doing that, as far as the real files go, DS actually moved all 4 files - the Genesis.cr2, the png, the .py and the .duf, which was good. Going back to the Smart Content pane, selecting the Genesis.cr2 and telling it to show the file in the content manager still went to the old location (DAZ People) rather than where the Genesis.cr2 was in the new folder. But I then used the context menu in the Smart content pane and clicked on Refresh, then went back to the Genesis.cr2, told it to show the file in the content library again, and now it went to teh new location, showing below in the Smart content pane that the moved location had been updated automatically. So, while I'm not sure if it will keep track of things you move in the outside file manager, if you move things in the content library pane, it not only moves all the associated files (the pngs, and dufs and dsas as appropriate) but also updates the content database. The serious answer, though, is that most days I can't think straight enough to think of answers to questions, and can't type for mounting pain when I try. Hence why i posted lots every day from 2004-2007, and since then have hardly posted at all, or mostly even been able to read much to know what's going on. I've had an unusual day or two of feeling much better than normal, but it is declining rapidly again. i will likely disappear again sometime this evening, and then not come back for a week or several, with very little memory of any threads I left dangling, unfortunately. C'est la vie. I think I'll go and get that Buddy 2.0 to M5 pack while it's still free and then hang onto it till I've got M5 up and running. Your textures are absolutely perfect for the lighting rig I'm currently using which I set up using a tutorial by Caisson. Are there more V5 and M5 characters to come!? Now everyone can use them your popularity is going to shoot up. Oh, just thought, I'll need the DS version of Buddy 2.0 as I'll need it for the textures, won't I!? Or can I just copy the existing ones I have for the Poser version into the Daz library I have for my Genesis stuff!? I just looked at your reply on the Mec4D forum, I got Buddy 2 to M5 but didn't install him, do I wait for the companion file to be uploaded and download it from the forum? I have also re-downloaded the original Buddy 2 and installed him into my DAZ library. Once I get M5 up and running, will I need anything else!? I can well believe that! Nice to see Fizzgig from Dark Crystal again, it's been years since I saw that movie. Someone should do him for DS and Poser. Quoting previous post as I would really like an answer. Thank you in advance. What does this mean by removing the old files from the product and adding the new ones? After all, you add the new ones when you save them to the directory after making them, don't you? Can I get some clarification and steps that are a bit more specific? 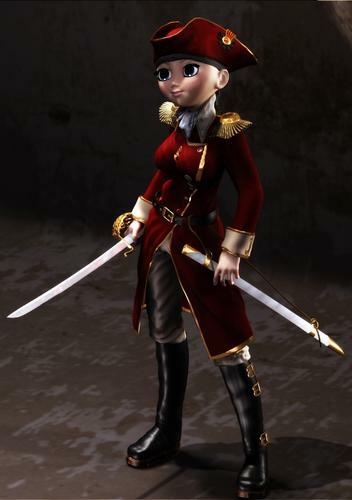 Out of curiosity - I looked through the thread and didn't see this mentioned: if we have Victoria 5 from 3D World or 3D Artist magazines (and Michael 5, as well), is she compatible with DSON, or does she need to be updated, and if so, can we get an update without buying her (them) new? Hmm....I've never tried moving things within DS so didn't realize that would update the metadata - will have to play with that! I only use the Smart Content for Genesis stuff (other than the things that originally came with Poser and are in there, for the same reason - no interest in spending time to add metadata myself to a zillion different items. I don't know - now that these things are useable in Poser, I may move all my Genesis stuff over to the actual "Runtime" folders, stop using Smart Content altogether and not worry about the metadata anymore. Again, thanks, and sending hugs for whatever challenges you're dealing with. It has been asked, and a support ticket has been opened, but we don't yet know the answer. You can of course do your own conversion if you are able to run DS 4.5.1.6 and can follow the instructions (should be fairly straightforward as long as you accepted the default paths). So any update on the Library freeze problem for poser 9 users ? Thanks, Richard! Sorry about the duplicate question :). I just downloaded 4.5 Pro this week and haven't upgraded yet - I'm going to (dangerously) assume that this is the latest version; I'll read through the thread and the instructions and see what kind of mayhem I can create :-). Really looking forward to being able to use Genesis in Poser - I love the idea, but just can't seem to wrap my head around the D|S interface and controls ;). I see all the problems that people are having, and I am hesitating. Maybe I will just use the Poser figures in Poser and the DAZ figures in DS, if I continue with DS. Way too many foul-ups, in my opinion. I don't want to spend days trying to figure out how to load something up, and then more days trying to figure out why it doesn't work. I enjoy the art side of 3D art, not the maddeningly frustrating computer-confusing side. But, one question: as a Mac user, where could I install these Poser and DAZ files? Lots of people are giving opinions about the Windows platform. That's not going to help me. 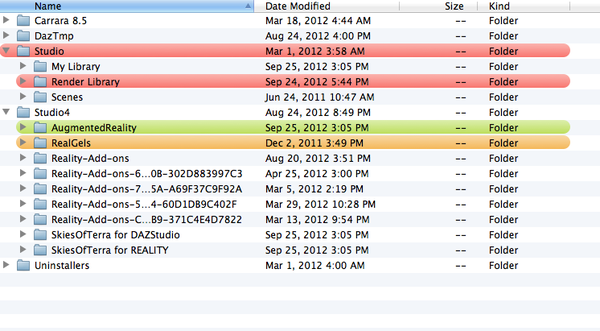 In my Documents Folder, I have a Studio folder, a My Library folder, and a Studio 4 folder. If I decide to install this -- What should I call it? -- this latest dazzle, where should I install it? it should be in Poser 9. I have absolutely no idea how but it's working a treat for me :-) So give it a try if you've still got an older poser version installed. That said, let's hope they fix this soon I'm sure they will. The My Library folder, just as on Windows - only the location of the Documents folder varies between platforms. However I am a little concerned that you appear to have content in the DAZ 3D/Studio 4 folder, though as that isn't a nested folder it wouldn't break stuff if it was also selected as a content directory.